When it comes to supplying and supporting metal roofing contractors in Miami, nobody comes close to Metal Master Shop. 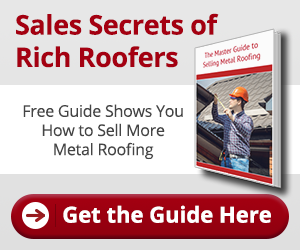 When it comes to a quality metal roofing supplier we can provide you with anything you could possibly need to install a metal roofing system. All backed by the professional knowledge and expertise of our staff, most of whom have direct roofing experience. As a superior metal supplier, Miami-based Metal Master Shop can fab ricate complete standing seam metal roof systems in copper, aluminum or galvalume; along with supplying all the components, tools and knowledge necessary for a successful and profitable project. Using the latest sheet metal equipment we also fabricate roof edging, flashing, accessories, copping caps, scuppers, finials, all profiles of architectural metals, and custom metal orders. If you can draw it we can make it! We provide panel cutting at your job site, with the ability to produce panels of any length – only from your high-caliber Miami metal supplier. As local professionals we understand the unique challenges of installing metal roofing in Miami. All products and panels are in full compliance with the Miami-Dade County Building Code, and are specifically designed to withstand the wide variations in weather conditions experienced here in South Florida. We are members of the Better Business Bureau (BBB), National Roofers Association, and the FRSA. Metal Master Shop is conveniently and centrally located right by the junction of the Palmetto Expressway and the 836, just 300 ft. west of 72nd Ave in Miami. For a successful and profitable metal roofing project or metal supplies, contact Metal Master Shop today!